The countdown is here! It is Bugeater week! 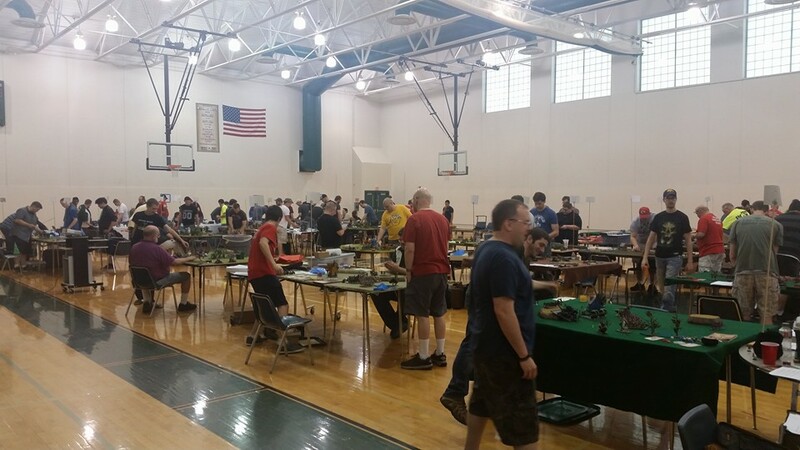 First, if you want an easy way to move around the tournament with your army this weekend, consider renting an army tray from Hammerhead Games. For $10 you’ll get a tray to use, with the money going to help the debate programs! If you really like the tray, the $10 can go towards purchasing the tray itself! Second, remember that we have our painting and modeling competition running this weekend, the Golden Gobbo! We have categories for historical miniatures, fantasy miniatures, and sci fi miniatures. Have a really awesome display you want to enter? We have a category for that! You can enter models whether you’re using them in competitive play or not! We judge all entries on Sunday. If you entered into a 2 or 3 day event, you get one entry free of charge. Additional entries are $5! One month until the Bugeater!